We did it! 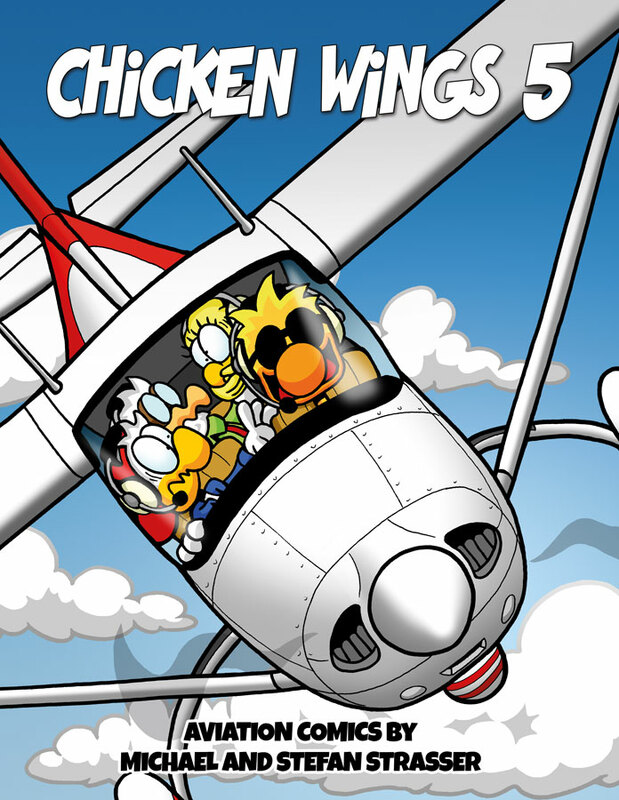 Aviators worldwide rejoice, Chuck and friends are finally back in book for again! 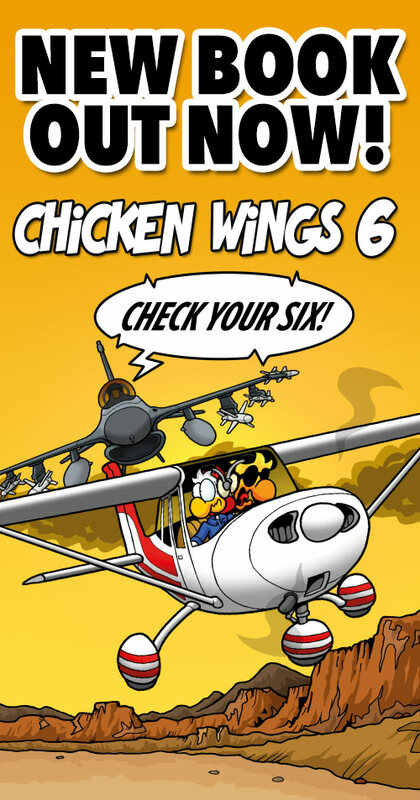 Behold our 5th book titled “Chicken Wings 5 – …” well, here is the thing. We want you to guess what the latest title is. Let’s have a contest this week and the 2 participants who can guess the new title will walk away with a free book shipped out before the official release date. That will be 2 in the States and 2 in Europe, 4 total. If nobody guesses the title we will pick two winners among titles we think matches the closest by this coming weekend and announce the winners Sunday the 22nd of May. Also, as soon as we have two right guesses the contest is over and the first two who guessed right will get the book if there are more right guesses. Oh! And even more importantly before I totally forget, the official release date of the new book will be Memorial Day Weekend, or how it’s known to the rest of the world, Sunday the 29th of May. Mark the day on your calendars! Now, let’s hear some comments, concerns, ideas, and most of all, new title guesses! ‹ Come see me at AERO next week! Sorry I know they aren’t good titles but I couldn’t resist! I also get motion sickness very easy. @ Dave: I do like “Unusual Attitudes”! It’s something we need to consider for book 6! Nobody guessed it but we have picked 4 winners from the entries we liked the best. 3 of them are entries over facebook and one of them is from this thread in here so JOE BLACK! if you read this! 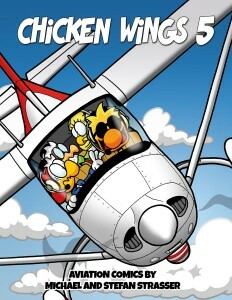 Send me a note to mike@chickenwingscomics.com with your address, you are one of the winners!